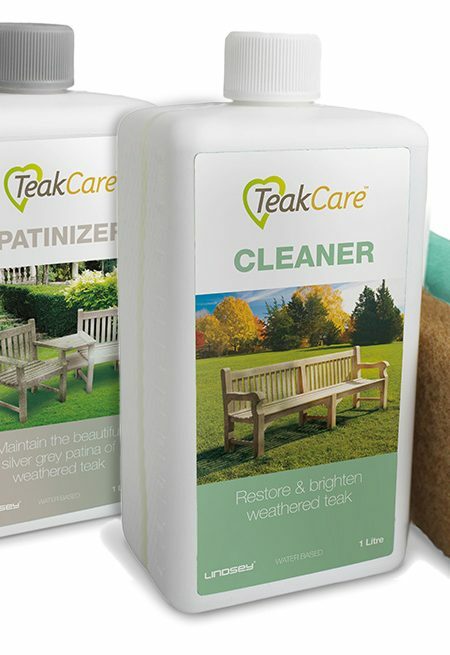 Our water-based formula is not only a high concentration cleaner, but it also contains brightener-ingredients, which bring back the original colour of new teak/hardwood. 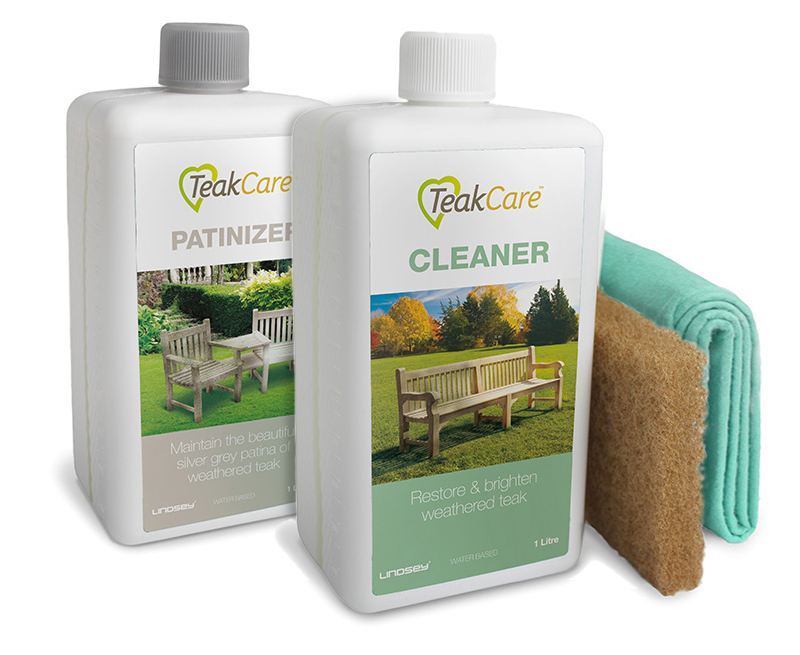 Most competitive brands require a 2-step-process: A separate cleaner and brightener meaning twice the work for you. 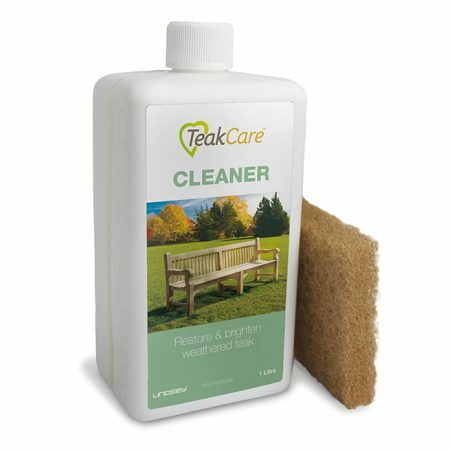 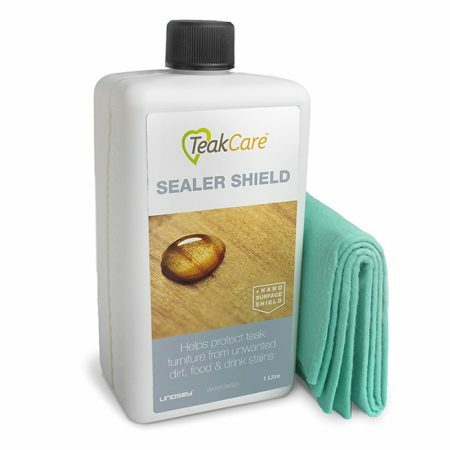 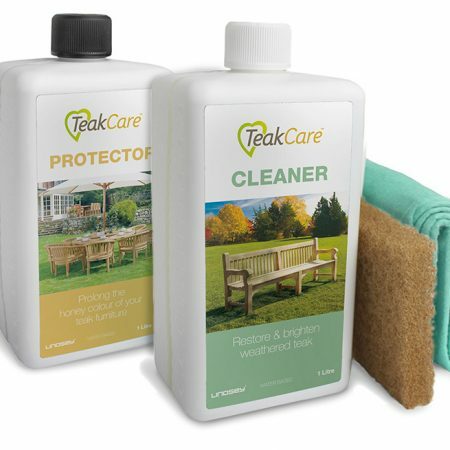 Unlike most other teak cleaners, our teak garden furniture care products are classified as non-hazardous. 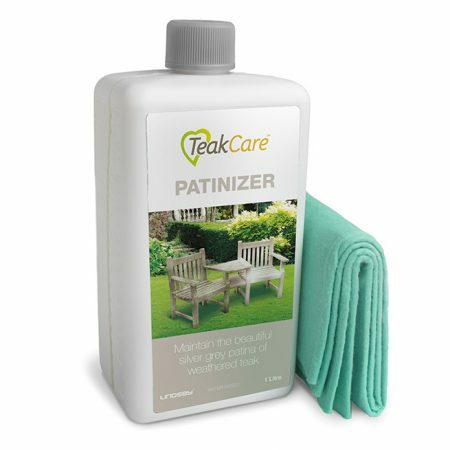 Teak Garden Furniture Care Patinizer – Maintaining the patina silver-grey colour of weathered teak.